A #readingnook provides a dedicated place to look at books away from distractions, which can really help to make reading a joy. For a nook designed for kids, a good selection of books, ambient lighting and comfy cushions styled on the floor make a space that children will really love. Here’s our guide to putting together a kid-friendly library of your own. Every great library needs a brilliant selection of books. Keep kids engaged by rotating books and adding in the occasional new read. Storybooks are ideal for under fives as they speak their language through bold illustrations, pop ups and flaps rather than lots of words. For children approaching school age, flash cards are a quirky alternative to leafing through regular books. The nook provides an uncluttered space to lay them out too. Need an extra helping hand to pick books that are best suited for your little ones age and stage? Here’s our tips on choosing the right ones for your tiny reader. Storage solutions that children can access themselves are important for their reading nooks. 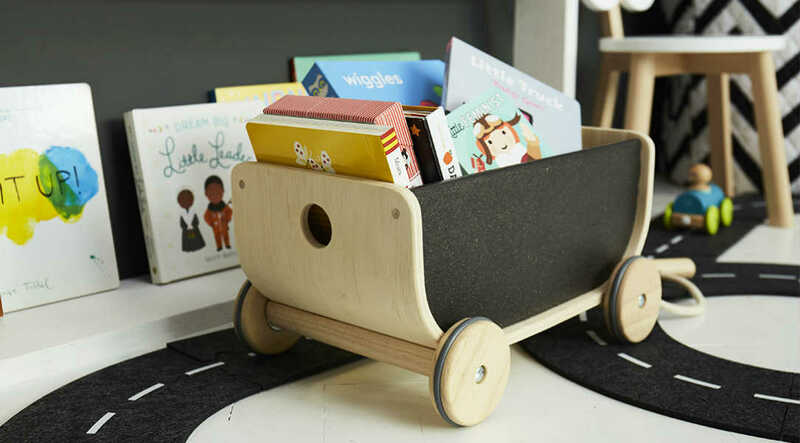 Something like the Minene Large Storage Basket keeps books orderly but gives the option of moving the basket out of the way when reading time is over. Another solution is the Plan Toys Wagon. It's perfect for parking up next to a beanbag on the floor, for kids to grab a book whenever they like. If you'd rather use a book shelf, try and create a visual display with the covers facing outwards. Under fives are visually stimulated, so help them choose books more easily by making the most of their covers... we may say not to judge a book by its cover, but kids definitely do, roll with it. To encourage reluctant readers, or kids who'd rather be playing with toys, we think some characterful cushions can be a really effective lure into enjoying a book and can inspire their imaginations too. 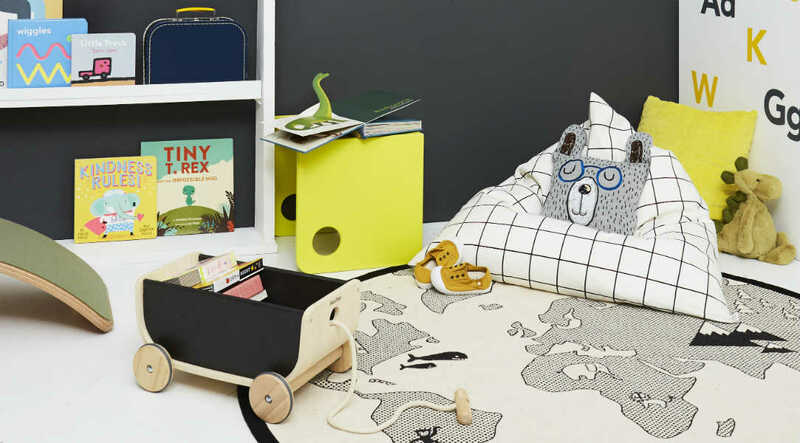 We love the Ferm Living Little Mr Teddy Cushion and the Lion Cushion by OYOY, which add a really playful touch to reading spaces. Pop them on a bean bag, or pile a couple in a corner, for the ultimate comfy spot. A reading nook needs to be really inviting. When we created our own, we painted a dark feature wall to enhance the cosy atmosphere, but then added some wall decals on the white walls for extra interest for kids. They are a simple solution if you want a temporary decorative update as well. Beyond the walls, soft lighting is key. The Cloud Wall Light by Ferm Living works perfectly with a soothing light that is ideal for helping kids unwind before heading off to catch some sleep. For little readers that move from nook to bed, the Babymoov Nightlight is a fun portable choice. While reading nooks are primary a place for looking at books, the relaxing environment is also great for other low-energy activities such as simple crafts, puzzles and open-ended play. The Colouring Book by The Jam Tart has plenty of pages for kids to colour and the Wee Gallery Lacing Cards encourages kids to take five, slow down and learn. Adding a table like this one from Done by Deer, gives a dedicated space for taking activities off the floor too, where as a Wobbel Board offers a multi-functional product, that can be a stool, a little table or play furniture to use creatively. Enjoyed this collection? If you’re looking for more room inspiration then we’ve curated each room in the house to help and inspire. 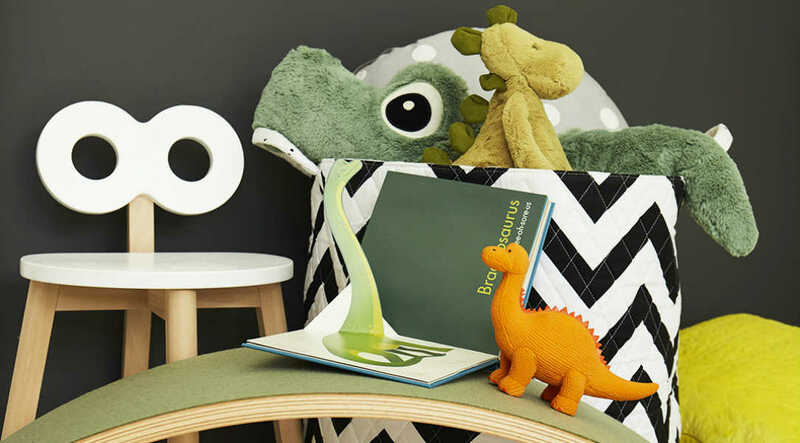 Take a look at our tips for putting together a mint nursery or a creative play space. Our articles on creating a family living room and bathroom, ensure you have the perfect space that suits you and them, while our kitchen ideas help create a mess-free, stylish place to eat.